The Soweto uprising was both a tragic and heroic event in the history of South Africa. Tragic, because of the violence associated with it; heroic, because of the way it grew out of the oppression of the past and marked a decisive step towards a democratic future. This book has two identities. On the one hand it provides a comprehensive, though by no means complete, account of the uprising. On the other, it is an attempt to come to terms with the interrelationship between violence and memory in South Africa. One might also (7) distinguish between three types of "voices": primary voices (those of the police, the press and the participants); secondary voices (those of the witness testimonies before the Cilli� Commission or those of the ANC); and tertiary voices (those of the literature and historiography, that of the Cilli� Report, and my voice). In some cases I have provided guidance through the materials (look for links to "Related link" "Related essays" etc. in clearly marked boxes, or in the navigation at the top or left hand side of the webpage), but the reader should feel free to explore and create her/his own connections … new pathways through this material are a mouse-click away. The reader can thus, quite conventionally, take the stairs that lead from one floor to the next, reading first chapter 1, then 2, then 3 … or she/he can take the express elevator from the ground floor (for example Lilli Mokganyetsi's place in the unfolding narrative of the uprising (See Chapter 2: "The Narrative") to the top floor (for example, her story and the way it is embedded in the present and shaped by the experience of violence through the years, See Chapter 6: "The Wounded") with quick stops along the way (for example: to read my interview with her). As in the Hector Pieterson museum, where the windows allow and direct visitors to stay connected to the relevant landscape or landmark in Soweto, the images and documents associated with each part of the story allow us a glimpse into the uprising's past or into the complete original document that informed my analysis. Police operations during the uprising were coordinated from the Orlando Police Station directly across the Klipspruit Valley. The police were able to watch the columns of students gathering from their elevated positions. In 1960 Robert Sobukwe led a group of PAC members to the Orlando Police Station to hand themselves over for arrest as they refused to carry pass books. The Hector Pieterson Museum directly and explicitly connects the events of 1976 with other historical events, which it thus urges its visitors to consider in a relationship through time. The essays (for example "Setting the Stage" and "Soweto: History, Geography, Society") also connect the Soweto uprising to the history that preceded it. There are other red threads that run through the fabric of this book that allow the reader to quickly access anything, for example, that has to do with Black Consciousness, themes that this book revisits again and again. They may be found as you read, scattered throughout the book. Clicking on the words "Red Thread" will generate a pop-up window which will guide you to the other passages in the book that coincide with that particular thread. A hard copy book forces the author into a decision about "what comes first," although the reader might skip a chapter, page back or subvert their order. A similarly consecutive reading is possible here (and preserved in the left-hand navigation), but, in this electronic medium, it is not necessary. I thought long and hard about what my positioning of the official stories as "before" the story of the participants would do, thinking that the participants' stories deserved pride of place, because of their historical exclusion. But in the end, in the original manuscript of this book, the official stories came first, because they formed the background before which the other voices needed to be understood. Here that is no longer necessary, the stories can run next to each other in the virtual universe and hierarchies of meaning associated with hierarchies of physical positioning begin to loose their power. The reader may choose to begin with The Narrative, which is the backbone of this book, or read the Methodology and Conceptualization in the Introduction first. If the perspective of the Participants is of prime importance, then that chapter can be the starting point. Each chapter can therefore stand on its own, but is also linked, through a web of possibilities, to the other chapters, to a series of supporting essays, the documents (testimonies, statements, memoranda, interviews etc.) relevant to it in particular, and to the complete archive upon which this structure is built. A Sitemap, located in the top navigation, gives the reader instant access to all of this, as well as permitting access to subsections of chapters without having to scroll through (page through) the entire document. When you click on a footnote, do not use the "back" button on the navigation bar of your browser, but click on "Back" at the end of the footnote to return to the spot in the text to which the footnote refers (where you were reading). The additional materials and documents that accompany a particular chapter, but that are also relevant to the others, may be found and accessed through the Sitemap in the navigation. Clicking on an image or document link launches a separate browser window. If you cannot see the image or document, please look behind your front window(s)! Terminology, language and words, even theoretical ones, are important because of the culturally and historically specific meaning attached to them. Categories of analysis, such as "childhood" and "generation," need to be considered and used carefully—they have historically constituted meanings and are themselves at times political constructions. A glossary and abbreviations are available through links in the text as well as on the left-hand navigation. For each term in the glossary, there is a brief definition as well as a longer contextual or analytical essay. 20 Spellings of his name vary. Hector's surname has variously been spelt "Petersen," "Pieterson," and "Pietersen" (see his gravestone at Avalon cemetery). His family now prefers the spelling, "Pieterson," which I have chosen to use throughout, unless quoting another source. Similarly, Mbuyisa Nkita Makhubu's name is often spelled Makhubo. Terms such as Bantu (Afrikaans: Bantoe), Native, European, and Non-White have been rendered unacceptable by their (ab-)use in apartheid ideology and policy. Where I do use them, it is only as part of an original quote, or in its historically specific context, should that be relevant to the point to be made (analysis) or to the opinion expressed. Even the language black, white, Coloured and Indian is problematic, in the way it reflects the racial classifications used in the Population Registration policies that caused so many divisions and heartache. However, the racial divisions were experiential categories of often darkest but real relevance to people. While I distance myself from the naturalization of such categories, they were relevant to people's lives and I use them—in their purely descriptive shorthand—where appropriate, and with caution. Throughout this book, I will use the term African for black people in South Africa, and white for both Afrikaans-speaking and English-speaking South Africans of European descent, unless the cultural or language difference is pertinent. Where I use the term Black, in its capitalized form, I am invoking its political meaning and implications, as a term inclusive of all those who struggled against apartheid or who were its victims, with particular relevance to the 1980's. The Truth and Reconciliation Commission (TRC) created a new context for the retrieval and dissemination of historical evidence. 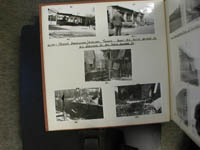 Among the documents of the Cilli� Commission, there was also a large collection of black and white photographs, many of them painstakingly pasted into large hard-board books, divided geographically by region in South Africa and by neighborhoods in townships, beginning with Soweto, but including photographs from many other townships around South Africa as well. With the funding provided by the Gutenberg-e Prize (2000), and with the full support of the National Archives and its then Chief, Verne Harris, I have compiled a new archive of 1,300 digital images of the 1976 Soweto uprising from the historical collections. These documents—the placards, posters and hand-written letters, as well as historical police documents and black and white police photographs produced at the time of uprising—provide a unique and rarely seen record both of the violence of the uprising and of its brutal suppression, and give a strong sense of "Soweto" as a place in time and geography. The documents—especially those of student participants in the uprising—belong in South Africa, where those who produced them and whose history this is must have untrammeled access to them. The destruction of historical archives and the concealment or exclusion of materials must be included in the repertoire of the apartheid state's efforts to change what was known and remembered of South Africa's past. Less visible, but no less dangerous, are complex patterns of behavior (habits of secrecy, control, dissimulation, accountability or lack thereof) that have as much to do with apartheid bureaucracies as with resistance politics, most of all in the way they replicate each other, tie into each other. A new culture of remembering and accountability brings new evidence and historical understanding into the open, but it also brings with it new challenges. The documents and photographs of the Gutenberg-e collection raise important issues about the further damage such materials can do to those who have survived these ordeals when they become truly public again. Though for perhaps the wrong reasons, archival procedure protected these documents and protected people from them. The same is true of the personal documents that the police confiscated during raids, and that their authors must long since have believed lost. I recognize and take into account the emotional weight of these materials, and hope that their publication here will not open old wounds. But I think it is crucial that they too do not remain hidden as a consequence of old government secrecy or of new institutional inertia or discomfort with the notion of transparency. The creation of this database is but a small return for the many stories of the uprising South Africans have shared with me. Images from this collection have already been used by the curatorial team of the Hector Pieterson Memorial Museum Project to select photographs for the museum. The National Archive will use the collection as part of its archives' outreach program for young scholars in South African high schools and universities. Although the presentation of all of these image and text materials in the electronic format of an e-book may raise the possibility of the appropriation or misuse of these materials, it is my understanding that this archive and my work will counter the history of concealment and exclusion in South African archives, which echoes other forms of silencing. This material is protected by the licensing agreement which controls access to the archive through this electronic book. I trust that users will observe the ethics of good research among scholars and students in archives and museums and that they will treat these materials with the respect and care they deserve as originals documents whose ultimate home is in South Africa and with the people who produced them. 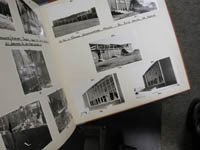 Photograph album 38 with Thokoza bottle store photographs. Collectively, the photographs present a complex picture of the consequences of the physical violence of the uprising and the material damage that was its end result: destroyed government administration buildings, burnt out delivery trucks, ransacked beer halls and bottle stores, shattered windows, hijacked public busses, hastily scrawled graffiti. But there are also images of confrontations between police and students, shattered bodies, smoking buildings. The archive is designed as a searchable database with detailed information about each image and document. Many of these images illustrate this book and provide a contemporaneous window into the Soweto uprising but others, documents especially, allow the reader to track my argument and look at the original materials that supported my research and my analysis. 30 The notion of archival custody has undergone profound changes in the past 15 years of South African history. By the time of the publication of the TRC Report in 1998, its authors were proud to report that documents and correspondence it had fought hard to retrieve were "now in archival custody," as if the institution of the archive could be relied upon to keep such records safe. But we know that institutions are only as good or as bad as the people who run them. Danger comes, even now, when controls put in place to protect people or evidence are suddenly used to control access to information and to restrict knowledge. The historical context and moment of history in which the research was conducted had consequences for the actual "collection" of oral histories, and for their peculiar character as shaped not only by the historical context (the present) in which they were recorded, but by the pace of historical (social and political) change in which they were embedded. The terrain of power in which the South African state's archives were embedded determined how historical evidence was collected and preserved, and, as a consequence, how historical knowledge was produced. Together with the legacy of violence, they have shaped the perspective and voices of those who stood at the center of the uprising; the shifting historical terrain in which I was working; differential access to evidence; and my understanding of the relationship between the events of the Soweto Uprising, the changing memory of these events, and the present. There is, as Ranajit Guha has pointed out, little that will protect against the "distortions" that inevitably alter the stories of the past because of the passage of time between the event and the telling of it, nor against the interference of the historian's own consciousness. But the old letters, pamphlets, and speeches from the time of "the trouble" described here, combined with interviews and other voices that come to us more indirectly through recordings, transcriptions of testimony, recorded statements and affidavits, allow us, through their rich diversity and their indisputable authenticity, to see something of a "past consciousness" that has so often been seized and claimed for narratives that were not the participants' own. In these stories, and with this shift, the participant is no longer "only a contingent element" in a narrative that otherwise belongs to the government, the resistance movement, or the historian. She (he) is instead an active, thoughtful and spirited agent of her (or his) own history. If the participant directs and speaks the story her- or himself, just as she (he) made the history and experienced the events-however eloquently or competently-what emerges is the complexity of the historical experience with multiple and intricate layers of meaning. Accounts of the experiences of ordinary people create a historical picture that may not be neat or straightforwardly argued, but that is a little closer to the multiple realities of historical experience. The shift in perspective that is a consequence of the presentation of the stories of the Soweto uprisings through the eyes of its protagonists allows us to see certain things differently, correct heretofore partial presentations and complicate or enrich past explanations or interpretations. The battle over the multiple meanings of Soweto began with the question about what had caused such a sustained and widespread uprising at this time. Although it was undoubtedly driven by the immediate shock of what had happened and, on the part of many, by a genuine concern to prevent or alleviate factors that had contributed to the uprising, this battle, over time, was to be marked by what the parties had to politically prove and what their short- and long-term agenda was. It turned upon discovering and proving, and discounting, the most appurtenant cause(s)—first the immediate ones, and later the broader ones. This book engages this debate about the causes of the uprising at several levels and in different places. Their construction and its purposes are what concerned me, and my historical reconstruction is based on the evidence of conflicting, multidirectional testimonies. At the center of this book stands a narrative, ("I Heard There Was a Riot in Soweto...:" A Narrative of June 16, 1976) constructed out of the many voices, observations, and descriptions of the participants (in the broadest sense) in the uprising: students and other young people who were part of the march and the destruction that followed; reporters and photographers who were eyewitnesses; policemen and officers who faced the demonstrators or intervened in looting and burning; parents and other people from Soweto who had not themselves taken part in the march or the later disturbances but who were affected by it in so many other ways; officials; authorities; teachers. The chapter suggests many perspectives and scenes of Soweto on that day and also describes how the uprising reverberated first through nearby townships and then across South Africa. The chapter is supported by a brief essay, based largely on secondary sources, of the history and creation of Soweto and a description of some of the conditions and concerns within the township in the 1970s. (See essay: "Soweto: History, Geography, Society") Both establish a sense of the spatial/physical, social, political, and material/economic conditions in which the uprising took place—factors that in themselves were suggestive of the causes. The rest of the book is devoted to the analysis of the complex and confounding experiences and issues of June 16, 1976. In chapters 3 and 4, I present the different accounts of the uprising, one being the "official" histories of the government, the opposing national liberation movement, the African National Congress (ANC), and the Truth and Reconciliation Commission (TRC); the other being the story of Soweto as told by the people who were its participants or witnesses. Each of these chapters struggles with the significance of the different points of view and the points of entry that these accounts present. Each of the institutions that presented its official story had a major political, public, and collective stake in this story. In chapter 3, "Official Stories: Telling Soweto, June 16, 1976," I present and compare the official stories. The government had the more difficult task, because it had to satisfy a more critical international and an increasingly restive local audience while maintaining the status quo, making some reforms, restoring "order," and patching the torn fabric of its ideology. The ANC, struggling to reestablish itself in the country while wrestling with internal schisms created by the conditions of exile, sought to connect the student movements to the ANC, revitalize its own ranks, resolve, authority, and sense of purpose and to help those students who had fled South Africa and police persecution. The Truth and Reconciliation Commission's account, in a sense, brought the story full circle, trying to establish in its final Report, published in 1998, a sense of closure. Between them, and for different reasons—those of the ANC being much less obviously malevolent, those of the apartheid government being much more deliberately and immediately destructive and exclusionary—the two older accounts spoke (or wrote) for the historical actors, analyzing cause and effect, processes and actions for their needs and political agendas. Neither created appreciable space for the students to speak in an open, frank, self-critical way, although the ANC did take them seriously and did not diminish them. The Truth and Reconciliation Commission very self-consciously heard the voices of the participants but, because of the passage of time, it too neglected the stories of the ordinary participants (especially in its Report); the way in which the uprising had bridged the urban/rural divide created by apartheid segregation; and the historic roots of the uprising in the Black Consciousness philosophy. Perhaps more importantly, it reified the heroic story of the uprising and failed to interrogate the differences and political divisions at its heart or the consequences of the violence that, for those who have not been able to parlay their experiences into opportunity, a productive life, or positions of power, must linger and do further damage. Beer halls, bottle stores, and shebeens (informal drinking establishments) were highly contested targets, as is described in the essay "Beer Halls and Bottle Stores." In some cases students destroyed the contents of liquor stores both because the excessive use of alcohol was seen as one of the most important factors that accounted for their parents' passivity and because the Bantu Administration Board had used the income from the sale of alcohol in the townships to sustain its own operations. In others, there were reports of drunkenness and looting, reflecting perhaps not only the diversity of participants and their sometimes conflicting goals and interests in the destruction but also the mixture of celebration and fear, of confusion, bravado, and defiance that accompanied this revolt in its most extreme moments. These are the targets that the police sought to make into the Achilles heel of the movement: their allegations of the (ab)use of alcohol to help young children overcome their fears and attack the police, their cynical blood tests on all bodies, and their use of this single factor to undermine the legitimacy of the student movement will be part of this analysis. Thus there were similarities, despite the differences. The analyses and arguments put forth after the uprising by official institutions suffered various deficiencies of perspective that permitted them all, regardless of political sympathies, to commit the common offense of a fundamental disregard and underestimation of the students as historical agents/actors and subjects of their own history. In Chapter 4, "The Participants," I seek to right the balance by presenting the voices of those who experienced the June 16 uprising. The chapter is organized around oral narratives that were recorded almost twenty years later and yet resonate with the stirring memories of experiences at the centre of the uprising. In the essay "Winnie Mandela—Youth Leader?" I analyze the voices of participants that were recorded at the time of the uprising but that, through the context of their documentation in the coercive setting of government institutions, are curiously muted and much less vibrant. Despite the coercive setting in which the government sought to manufacture participant voices, this essay presents the human faces of the historical actors as they try to illustrate the processes that sought to silence them and their conscious and active resistance to the lies with which the authorities sought to ensnare them. The essay accompanies Chapter 3, "Official Stories," because it also represents one of the rare cases in which the official narrative of the apartheid government directly engages with the official narrative of the ANC. The oral narratives at the core of these chapters present not only accounts of the uprising from the inside point of view of the historical protagonists but also allow insights into their life stories and into the many things, such as age, gender, status, and level of political experience or savvy, that shaped the actual experience and the understanding and telling of it. Where the voices take other forms, as in letters, poetry, and placards, the peculiarities of that form are analyzed and the documents placed into time and the context of their creation. Chapter 4, "The Participants," reflects an attempt to "get inside" the crowd to analytically move away from inherited (conventional) homogenizing and stereotyping descriptions of "crowds" and "riots" and to more carefully identify the faces in the crowds, the "participants," and thus present the varied human faces of the historical actors. Methodologically, one of the questions posed here is whether, when you get inside the crowd, something happens that allows a way to see with the eyes of those who were there, to get a sense of what happened and what it was like. In addition, the complexity of the situations, the newness, the drama, the (quick ability for) adaptations to new situations, the solidarity, sometimes even the humor and the inconsistencies come into focus. Even the radical, revolutionary, and antiapartheid discourses, such as those of the ANC and several academic authors, remain trapped in paradigms similar to those that characterize the "ideologically contrary," because proapartheid, discourse of the Cillié Commission. They were all characterized, for different reasons, by an unwillingness to recognize the young dissidents as the subjects (protagonists) of their own history. This becomes particularly clear in the next section of this book, which presents the issue of Afrikaans—misjudged and not given its proper historical weight as a result of this unwillingness—as extraordinarily more complicated, confounding, and surprising once the perspective is shifted. Echoing Murphy Morobe's assertion that Afrikaans was a "key issue" in the uprising, in Chapter 5, "We Are Fed the Crumbs of Ignorance with Afrikaans as a Poisonous Spoon" &8212; Historical Context and Precipitating Factors, I examine why and how exactly the imposition of Afrikaans as a medium of instruction in black schools came to be the "trigger" (Kane-Berman, 1978). This chapter, with its focus on the single most important precipitating factor of the uprising—the imposition of Afrikaans—is also the chapter that gives me the opportunity to more carefully discuss the several historical works (Kane-Berman, 1978; Hirson, 1979; Brooks and Brickhill, 1980; Brewer, 1986) in which the events and meaning of this time of protest in South Africa, as well as their impact on the historiography of Soweto, have been described and analyzed. Afrikaans is so central a part of the story of the Soweto uprising, that I have decided, where appropriate, to quote those documents, interviews and testimonies that were originally in Afrikaans, in the original—with translations running parallel—in order not only to stay as close as possible to the original, but also to afford those who have a command of the language an opportunity to hear for themselves the peculiarities and specific quality of the language that had become such a central metaphor of oppression. A discussion of the "nature" of the language as the language of command and confrontation is also part of this chapter. In "'Asingeni' (We Will Not Enter) The Schools," the supporting essay to this chapter, I further discuss the importance of the Afrikaans issue, which I explain as not only the key precipitating factor of the Soweto uprising but as a central, and symbolically powerful, organizing factor, which situated the uprising squarely in the classrooms and schools and in the hands of schoolchildren and students. The schools were central to the planning and organization of the uprising. School buildings and classrooms were the logical place/space for the protest, given who the historical actors were and what the rallying issue was. Because there existed a larger context of grievances and building aspirations (fuelled by Black Consciousness and developments elsewhere in the region), the protest easily found a wider range of participants and quickly extended to include those other symbols of oppression that were within easy reach. The student movement was not unified and in many cases the students were adapting to rapidly changing circumstances and issues. Many of their goals teetered between the symbolic and the concrete, since none of their actions or targets was ever totally detached from the concrete. The concepts of duality and ambivalence were reflected in the targets and in the ways political meaning, goals, and explanations were attached to them, both by the students and other participants in the uprising and by police and other state officials. Perhaps the most ambivalent of the targets were the schools. The classrooms that had been the initial space for organization, the school grounds that had provided both forum and audience—all of these were turned into battlefields. Initially, many offices were destroyed (as a symbolic attack on the administrative and authoritative hierarchies); later, buildings and libraries were burned. In the essay "Setting the Stage," also in Chapter 5, I return the focus to the historical context and precipitating factors, the causes that had produced burdens of crisis proportions for Africans in the townships and everywhere. The effects of global recession on the South African economy, reorganization of the schools, the looming independence of the Transkei Homeland and impending "citizenship" there for almost 1.3 million Xhosa-speakers living in white areas, liberation movements bringing sweeping changes all over southern Africa—all were contributing factors, but none held enough power on its own to mobilize the masses. Finally, in Chapter 6, "I Saw a Nightmare...:" Violence and the Construction of Memory, I describe and analyze the relationship of memory to history, arguing that memory is mutually and multidirectionally constituted through an exchange between what, at first glance, seem to be mutually incompatible identities and experiences of race. I return once more to the intervening time, the "layers" of memory and other things that have changed the remembering first introduced in chapter 4, "The Participants," speaking more specifically to the role of violence, both physical and mental, in history, and to the inability, as a consequence of violence, to historicize, and therefore to bring to closure, to an end, the stories of Soweto.